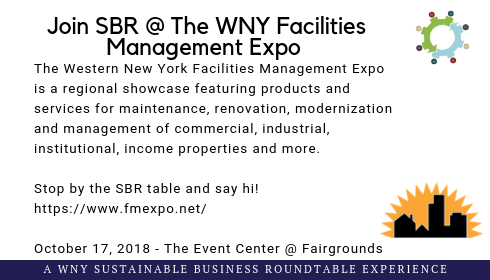 The Western New York Facilities Management Expo is a regional showcase featuring products and services for maintenance, renovation, modernization and management of commercial, industrial, institutional, income properties and more. As the largest Facilities Management Expo in the WNY region, with vendors and visitors from Western New York, and North Western Pennsylvania, attendees have a wide range of displays, seminars, and demonstrations to attend throughout the event. Stop by the SBR table and say hi!